Located adjacent to the police/fire station and just south of the current Safeway Anchored retail center. 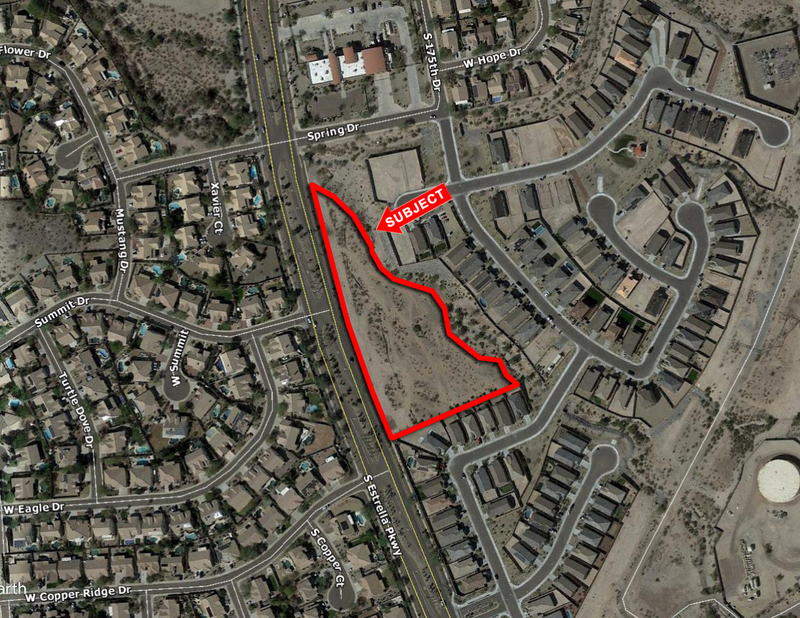 This is the core area for new retail in the developing Estrella Mountain Master-Planned Community; there are currently over 2,000 homes built within the community. The beneficial ownership of the subject property is the Phoenix Zoo and 100% of all sales proceeds benefit the zoo. Potential naming rights may be available.